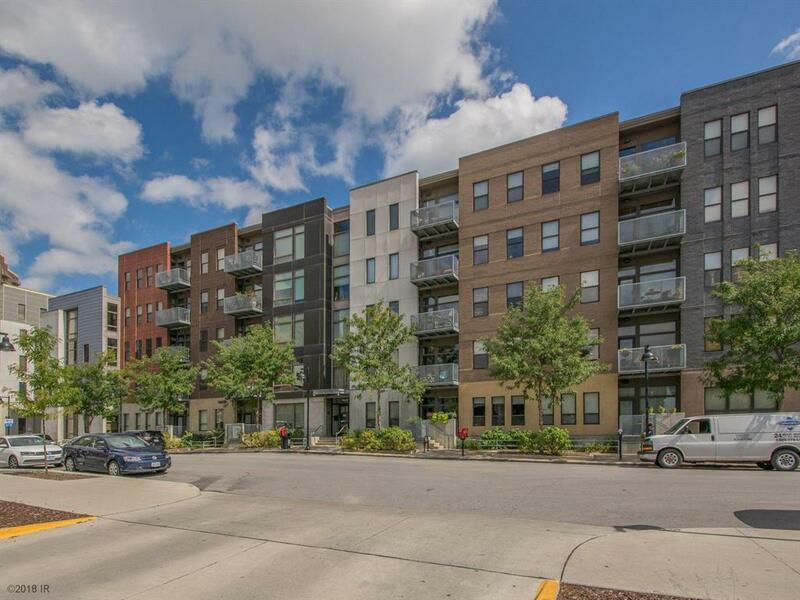 Immaculate 2BR/2BA condo w/almost 1300 sf located in the heart of Court District, dwntwn Des Moines. The lrg open space w/9 ft ceilings is perfect for entertaining & using as home base as you, friends & family experience downtown. White upper/gray lower kit cab & huge peninsula are capped off w/quartz counters, tile backsplash & updated SS appliances, including a beverage refrigerator! The lrg living space features hand-scraped hickory floors. Two walk-in closets offer needed storage, & add't storage can be found in the laundry closet. The roomy balcony has space for your grill & seating to enjoy a front row view of the fireworks at Principal Park. The rooftop offers seating & entertainment area w/a full view of the gorgeous skyline. Pets are welcome & there is a secured fenced green space for walking your dog. TWO parking spaces in the underground heated gar located just steps from the elevator. Is it time for a new chapter in your life that doesnt include a mower or snow blower? Hoa Name 4th & Court Owners Assoc.